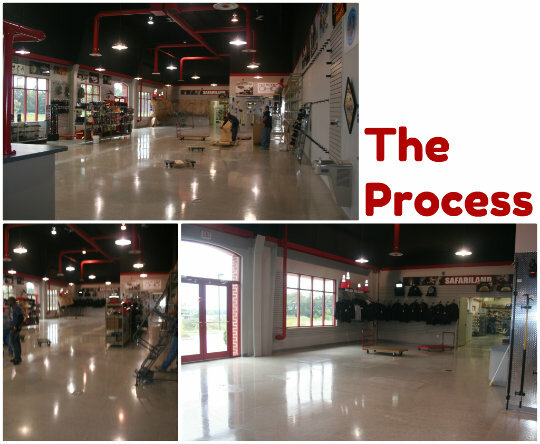 On Scene: On Location: Showroom Remodel--Come check it out! On Location: Showroom Remodel--Come check it out! If you're local to us, you've certainly visited our 6,000 sq. foot showroom before, and if you haven't--hurry on over. It's often described as making one feel "like a kid in a candy store!" and we couldn't agree more. 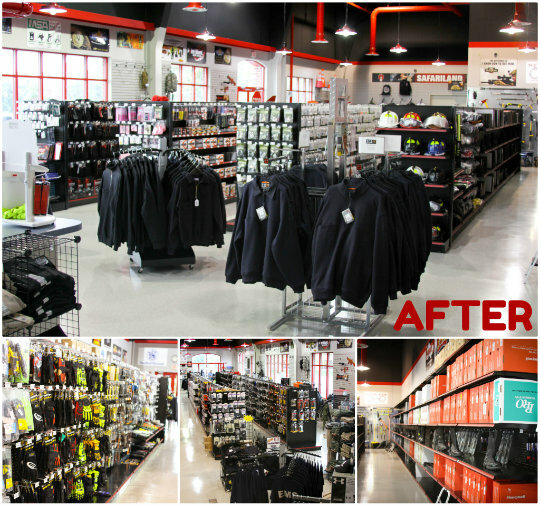 It's always been good, but recently, we've made our showroom GREAT with an awesome remodel that will make your buying experience even more enjoyable. With great shelving and new layouts, products are easier to find and aisles are nicer to walk through. 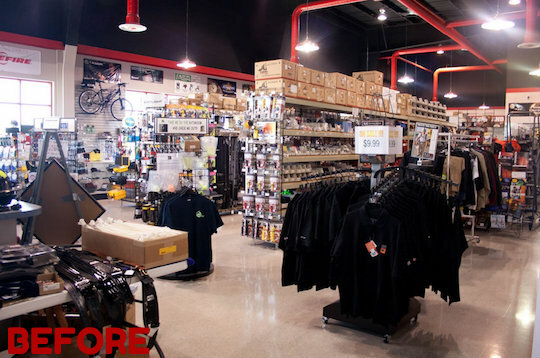 We've got tools, boots, helmets, apparel and more, in stock and ready for you to take on home. So come on in and visit us, today! Visit our Showroom Page for details. Curious about the renovation process? Well here's a little look at the Before, during the Process, and the beautiful After! Come on in for the best prices and deals around, and for a peek at our newly designed showroom. We think you'll love it as much as we do!